A catalogue outlining the supporting programme of works to compliment the new Islington Green war memorial by John Maine RA in the restored and redesigned landscape by J& L Gibbons LLP dealing with the themes of war, conflict and memory, specifically with the residents of Islington. Commissioned artists: Adam Dant, Duncan McAfee, photographer Claire Waffel, poet Deborah Levy and photojournalist Brent Darby. Includes an essay by Andrew Graham-Dixon, a CD by Duncan McAfee, a DVD by Deborah Levy and film maker Jane Thorburn and interviews with John Maine RA and Joanna Gibbons. Commissioned by the London Borough of Islington and funded by the Arts Council London. This audio CD is the product of a six-month project by Duncan McAfee, working with choirs, schools and individuals in and around the London Borough of Islington. Songs from the wartime era are interwoven with the stories and recollections of people from Islington who survived the Second World War creating an audio portrait of wartime Islington and its people. 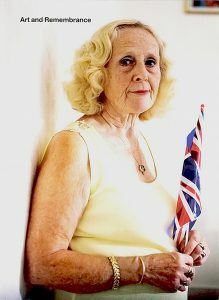 Includes contributions from members of The London Gay Men’s Chorus, Age Concern Islington and Islington Choral Society. A map by Adam Dant depicting the boundary of the London Borough of Islington as defined by fortified walls and gate-houses. The map offers the adventurous walker a presc ribed route which seeks to reveal the collective memories of Islington and war as represented in depictions of historical and unusual war related events and anecdotes. The map forms part of the Education and Outreach Programme commissioned by the the London Borough of Islington and funded by the Arts Council London. A broadsheet introducing the new war memorial by John Maine RA for Islington Green and commissioned by the London Borough of Islington. Includes photographs of the chronology of the making of the memorial installed in 2006, which is made from a single piece of granite. A booklet formed from a one-day workshop in 2006 with photographers Claire Waffel and Brent Darby and the Islington Cub Scout Group exploring images that symbolise peace through the medium of photography. The workshop and booklet were part of the Education and Outreach Programme commissioned by the London Borough of Islington and funded by the Arts Council London. Text by Paul Bonaventura, Mark Bradbury, Rachel Jacobs, Laura Knight and Louise Francis, Peter Lock, John Newling, Andrew Spira and Isabel Vasseur. Designed by John Morgan Studio, limited to 1,000 copies. Photographs by Matt Bray. This limited edition hardback artist book documents John Newling’s award winning Chatham Vines installation in St John’s Church Chatham, Kent. In September 2004 thirty two Pinot Noir grape vines were planted in the central aisle of the disused church positioned either side of a 15 metre steel construction. The vines were grown for one year using hydroponics technology. At night the church was lit from within and two cameras continuously streamed images of the project to a dedicated website www.chathamvines.com. Before the vines were removed the grapes were harvested and made into wine, some of which was used in the Easter Sunday Eucharist Service at Rochester Cathedral and the rest will be available in Autumn 2006. Made possible with support from the Arts Council and Nottingham Trent University. An exhibition catalogue documenting the history of architecture commissioned by the BBC. Includes White City Art Programme with artists Bill Fontana, Yuko Shiraishi, Tim Head, Dig Ding Dong, Thomas Cox-Bisham, Nikolaj Larsen, Elizabeth Wright, Bruce Kirk of Light Perceptions and landscape designer Christopher Bradley-Hole. An artist book by James Pyman who was selected to work with the various schools and community groups of the London Borough of Newham and West Ham United Football Club’s Learning Zone to develop a variety of drawing projects that aimed to help the people of Newham appropriate Champions as part of their neighbourhood. Drawing Newham’s aim was to involve people of different ages, ethnic origins, and abilities; the project did not rely on a conventional approach to drawing, but rather depended on an imaginative way of employing the medium. This publication resulted from a one-day symposium at the Royal Geographic Society, held in 1997 to provide a context for an art and landscape project for Norbury Park a 1300 acre rural domaine owned by Surrey County Council. The papers given that day by architects, curators, cultural theorists, geographers and those responsible for land management were adapted for publication by Victoria Walsh with an introduction by Richard Hoggart. Edited by Vicki Berger and Isabel Vasseur, the curators of the art and landscape project, this fully illustrated publication provides an exceptional bench mark on the aesthetics of contemporary landscape concerns. Designed by Maria Beddoes and Paul Khera Contributions by Vicki Berger, Richard Hoggart, Isabel Vasseur, Gillian Darley, Jay Appleton, Richard Wentworth, Tania Kovats, Ken Worpole, Jane Howarth, Eileen O’Keefe, John Workman, Richard Mabey, with six poems by John Burnside. 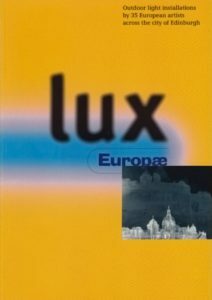 A fully illustrated catalogue of the outdoor light installations by thirty-five European artists across the city of Edinburgh in 1992. As part of the United Kingdom European Summit in Edinburgh the exhibit ion, curated and coordinated by Isabel Vasseur, became part of Winter City landscape. The fully illustrated publication has a forward written by John Major, it includes essays by Isabel Vasseur, Duncan Macmillan, Sacha Craddock and an interview with Kasper Konig by Tom Eccles. Designed by Tony Arefin. Artists include: Gerard Byrne, Nathan Coley, Viera Collaro, Patrick Corillon, Louise Crawford, Stephan Gueneau, Bill Culbert, Ian Hamilton Finlay, Ron Haselden, Amanda Hogg, Stephen Hurrel, Matthew Dalziel, Kenny Hunter, Petros Bazos, Cristina Iglesias, Andrew Kearney, Mischa Kuball, Thorbjorn Lausten, Vittorio Messina, Elsie Mitchell, Gerard Scanlan, John David Mooney, Juan Luis Moraza, Leonel Moura, Mauizio Nannucci, Martine Neddam, Giorgos Nichola Ades, Titus Nolte, Bernhard Prinz, Louise Scullion, Nicola von Skepsgardh, Slide Workshop, Michel Verjux, Adrian Wiszniewski, George Wyllie. Catalogue of the arts and crafts installations at the National Garden Festival, Gateshead 1990. Over 68 commissions and loans were installed on the 150 acre site adjacent to the River Tyne in 1990. The project included performance events, a new house entirely furnished by designers makers and texts installed into the landscape. 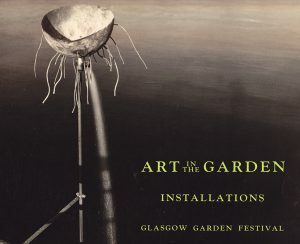 Catalogue of the installations at the Glasgow Garden Festival 1988. Includes texts by Richard Cork and Yves Abrioux, preface by Isabel Vasseur. 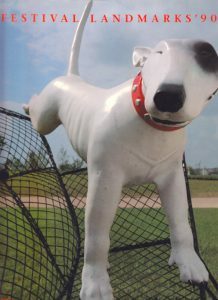 Artists include Daniel Buren, Richard Deacon, Ian Hamilton Finlay, Tracy Mackenna, Dhruva Mistry, Michelangelo Pistoletto and Louise Scullion.